This is a post for #LetsLunch, a monthly virtual potluck on Twitter. This month’s theme is dishes inspired by travel. Our host this month, Cheryl Tan, has been learning Italian the right way– full immersion in Sardinia! In honor of her Italian summer of all of our dreams, I am sharing an Italian fusion recipe. Hawaii is so beautiful, it could inspire a person to eat anything. Even canned mystery meat parts. But much of the best island food is from the sea, naturally. In this case, I’m using a sea vegetable– namely sea asparagus, which I had never heard of until a recent visit to Oahu. Sea asparagus, which looks like a mini version of its landlubber namesake, is also known as sea beans, glasswort or samphire. It thrives in salt marshes and packs such a salty punch that you won’t need nor want to add any salt. It is rich in iodine and is packed with antioxidant phytochemicals and many vitamins, including A, C, B2, B15 and D, as well as amino acid and minerals, such as iron, calcium, magnesium, phosphorus, calcium, silica, zinc and manganese. In Hawaii sea asparagus is being grown hydroponically by Olakai Hawaii. 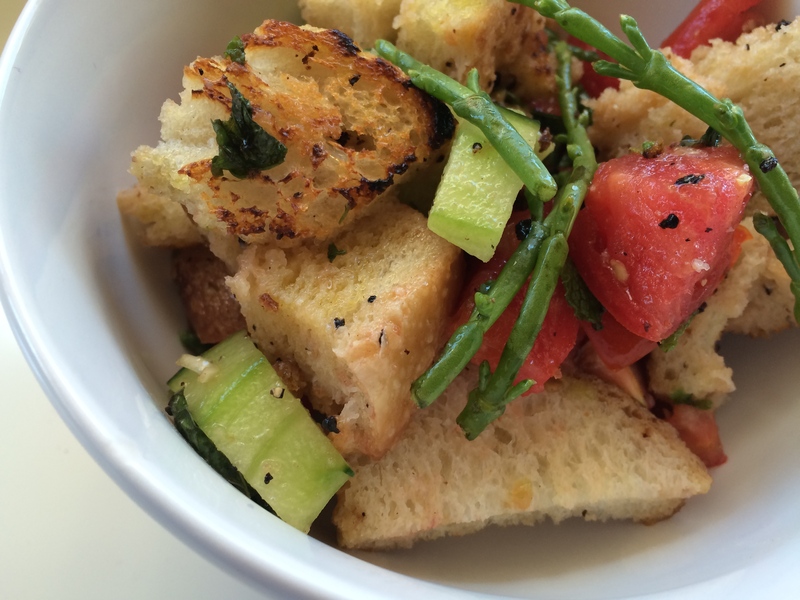 This recipe is an adaptation of a favorite summer picnic recipe- panzanella, or Italian bread salad. There’s often day old bread hanging around, and this recipe makes the most of it, making a portable, hike- and picnic-friendly meal. Pair it with cheese or salami for some protein, and you’ve got a complete meal. I supposed I should apologize in advance to Italian food traditionalists out there. I know “fusion” can be frightening to people. But hold on. I didn’t intend to make an island version, but on a recent Hawaiian vacation, my husband proudly brought home a pound of beautiful sea asparagus from Unnamed Big Box store. This is a chronic source of contention for me– I value The Store for party supplies and for staples like paper towels and toilet paper, but for general groceries for our family of 4? I find it a bulky waste. But my husband, who never knew such plenty when he grew up, loves the place. 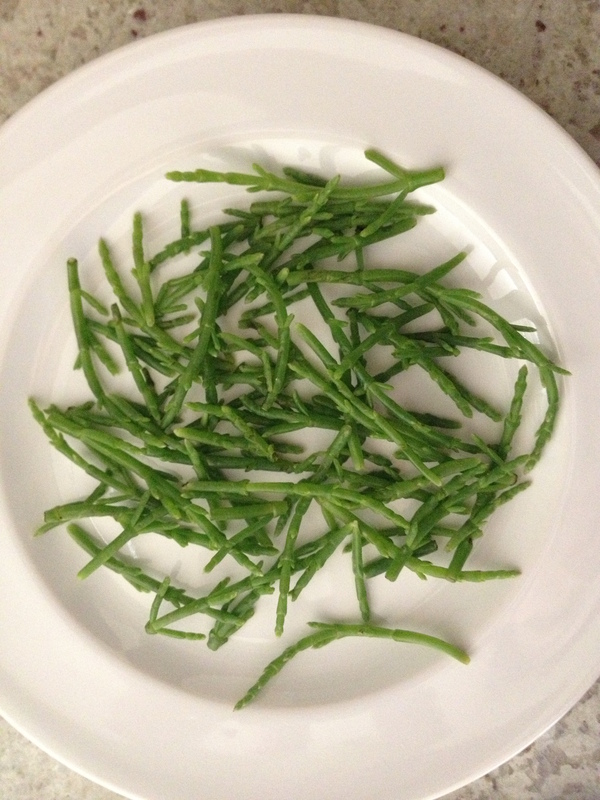 So, as usual, he came home proudly with his latest “bargain find.” In this case, it was an entire pound of this briny, delicate sea vegetable, which is truly enjoyed best (because of its natural saltiness and relative expense), as a garnish, not main ingredient. All of this is to say, I found myself with a lot of sea asparagus and needed to find ways to use it. It’s OK, I like a challenge. In this case, we were planning a visit to Honolulu’s Foster Botanical Gardens and the Honolulu Art Museum’s Spalding House, so we decided to pack a picnic. 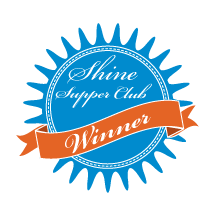 Leftover bread and tomatoes and cucumbers are summer fridge staples (for nonperishable pantry staples, see my recommendations here), as are olive oil and vinegar, so I was ready to go. As I rummaged through the fridge for other picnic ideas, I saw the very large box of sea asparagus and had a Eureka moment, and my Hawaiian Island Panzanella was born. For more sea asparagus recipes, see my recipe for a Hawaiian omelet with sea asparagus and poke and also watch this space in the future. Like I said, I have a whole pound to use up! To toast the bread, I first cut it into cubes and then toasted the cubes over medium heat in a dry frying pan, tossing periodically. You could also grill or bake it. Toss all ingredients together. Allow to sit for at least 20 minutes before enjoying. Mahalo for coming by! Please come back later to see what other delicious finds the #LetsLunch crew have brought back from their travels.